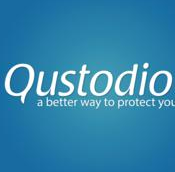 Qustodio is a parental control specially designed for parents who leave their children at home and want to manage their internet activity by all means. Because, in these modern times, kids are easily affected to online malicious content whether the medium is images, videos, or text content. Qustodio shows the perfect way to protect and manage your child’s internet activity through many customizable options and features. Qustodio is responsible in setting time limits for child’s internet activity with its easy to use and superior featured-technology. This parental control and monitoring software is available for free and premium versions. You can get much advanced protection in the premium version. Qustodio is multi-user and multi-device which works seamlessly on Windows, Mac, iOS, as well as Android OS devices. The Android version can be downloaded for free from Google Play Store. Smart Internet Filter - Blocks dangerous websites and other web content by scanning all sites, pages, and all browsers in real-time with watchful analysis. Social Media Monitoring and Reporting – Get instant alerts when your children are involved in suspicious activity in social media sites like Facebook, and video chatting applications. Time-Tracking – Set daily internet as well as device usage limits to manage your child’s internet activity. Protects against cybercriminals and predators when your children are engaged in social networking sites like Facebook, Twitter, and Yahoo!. Check usage statistics about applications and games used by your children, and prevent certain applications from running. Manage activity from any web-enabled device, get instant alerts and view device usage history up to 30 days. Upon installing the application, you will be provided with two options – “Protect my kid’s browsing” and “Protect my kid’s searches”. For complete protection check both options and click “Accept and Install”. At the first point, it asks to enter your family details like gender, birth date, and a picture of your child. You can set up a different profile for each child and customize any protection settings easily. It instantly begins to work by blocking harmful sites and supervising your child’s web actions. Coming to its interface, Qustodio has a simple analytic-look, which includes tabs of individual user activity, where each user has different activity views and rules such as Activity Summary, Activity Timelines, Web Activity, Social Activity, and Rules. You can see the time spent behind the computer and activity summary by day, week or month using the timeline. You can get a complete list of search terms your child had used i.e. Search Activity. You can get a complete list of applications used such as Google Chrome, Windows Live Messenger, Internet Explorer, Microsoft Word, etc. and time spent on them. You can see the web activity by pages they visited and time spent on them. It shows online friends and who they’ve communicated with. You can get all device usage percentage whether it is PC, Mobile, or MacBook. You can get minute-by-minute timeline of daily computer use of all users on all devices. Block certain games and applications such as Skype, Microsoft Word easily. Filter websites by category like Educational, Government, Entertainment, Technology, Mature Content, Violence, etc. Schedule the usage time limits on particular days. Lock Navigational actions like preventing internet access but allowing offline computer use. Lock Computer uses i.e. preventing both online and offline uses. Finally, parents who want to know what their children do online should try Qustodio definitely. It is very difficult to bypass or crack the software even by smart tech-savvy children. The new version is available for download which has improved menu in the app tray, warning notification before locking a user session, time quota left available in the app tray menu, etc.